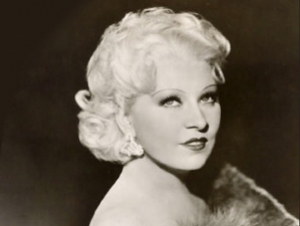 The Buffalo State community has the opportunity to learn more about iconic actress and writer Mae West. 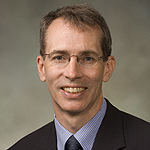 Anthony Chase (pictured below), assistant dean for the School of Arts and Humanities, is presenting the free lecture “Mae West, Comedy, and the Disenfranchised Woman Playwright” on Friday, March 7, from 3:00 to 4:30 p.m. in Ketchum Hall 320. It is open to the public and a reception will follow. As part of the college’s “Conversations In and Out of the Disciplines” series, Chase will explore West’s many complexities. SUNY Distinguished Professor Ann C. Colley founded the Conversations series in fall 2008 to draw attention to research being done across departments. Other lectures have focused on different aspects of biology, art conservation, and literature, among other topics. An article in this week’s Artvoice, Talking About Mae West, where Chase serves as theater editor, provides more details about his lecture. The next lecture in the series is "Community-Based Participatory Teacher Education: Lesson from the Digital Writing Workshop," a talk from James, Cercone, assistant professor of English, Friday, April 25, at 3:00 p.m. in Ketchum Hall 320. These talks are open to faculty and staff, graduate students, and interested undergraduates.